As organizations increase their use of cloud services, Forrester principal analyst Dave Bartoletti says they're coming to this realization: No one platform can provide everything developers and IT operations professionals need. According to a poll of global technology users, nearly two-thirds said they’re using more than one public and/or private cloud at the same time. 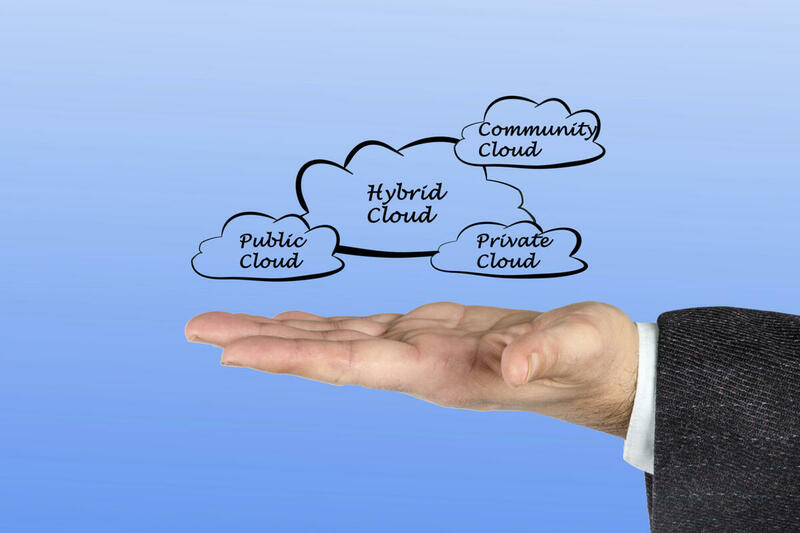 As has been predicted for years, hybrid cloud has become a dominant deployment methodology. Organizations are combining public cloud resources with private cloud infrastructure, or multiple public clouds, or multiple private clouds. When they do so, an overlay management software for controlling all those assets can be very helpful, Bartoletti says. For the first time Forrester has produced a Wave report examining the leading vendors in this hybrid cloud management market, and the crop of providers leading the pack could come as a surprise. Bartoletti breaks the market down into two major categories. There’s a relatively new collection of vendors selling agnostic management platforms. Tools from RightScale, CliQr, Dell and Scalr do not have affinity to any one cloud vendor, so they can manage many different clouds. The second category includes pre-existing software from classic management vendors like VMware, Red Hat and IBM. These vendors have extended their virtualization management software to now include cloud management. Perhaps most surprising about this list is that vendors like Amazon Web Services, Microsoft (Azure) and Google (Cloud Platform) – who dominate the IaaS public cloud market, aren’t atop this list of cloud management tool providers. After all, why would they want to sell customers management software for competitors’ clouds? Bartoletti says he sees two major use cases for these hybrid cloud software packages. The first is a multi-public cloud environment. It’s not uncommon to see an organization using Amazon Web Services in certain departments or developer teams. Perhaps the marketing department has a new mobile or Java app that needs to be able to scale quickly. AWS is a great fit. There may be other developers who are more used to working in a Windows environment and prefer to use Azure. A single cloud management platform can provision virtual machines and storage to both these clouds and give IT central control and visibility into how the clouds are being used. There’s another use case for hybrid cloud software in which teams within an organization are all using the same public cloud, for example AWS. These hybrid cloud products can act as a central portal for users to access AWS resources and for IT to monitor the use. These tools are “still in the maturing phase” though, Bartoletti says. The “nirvana” is to get to a point where users have a “single pane of glass” to manage multiple clouds and dynamically move workloads across clouds. We’re not quite there yet. Typically, the most functionality for dynamic usage across clouds comes within a homogenous environment: Users can do some cool stuff with vMotion in an all-VMware environment that combines vSphere with vCloudAir, for example. Managing applications across AWS and Azure is still a cumbersome process though, so expect more innovation in this market. Despite their shortfalls, these can be incredibly helpful tools for users. “At their core, hybrid cloud management solutions are automation and orchestration platforms. They automate manual or scripted tasks to request, change, or deploy standardized cloud services, and they orchestrate the execution of these tasks across a range of cloud platforms, often leveraging other automation tools like configuration management or provisioning,” Bartoletti wrote in the report. Rounding out the list of vendors who made the cut were Hewlett Packard Enterprise, BMC, Microsoft and Citrix.